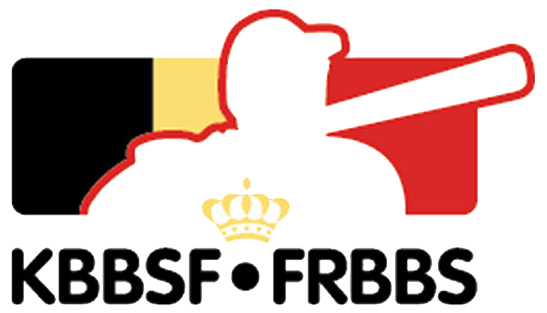 European Softball Rankings: Belgium climbing and three nations are newly-ranked. 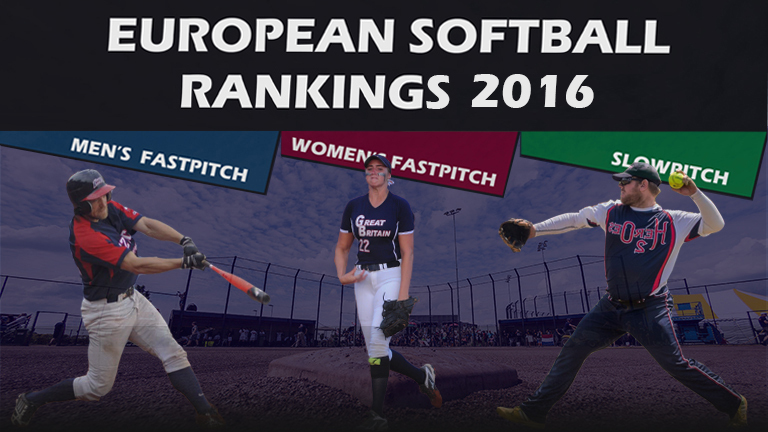 European Softball Rankings were introduced in May 2016. The ranking system is based on points given according to final standings at the two most recent European Championships in each category. 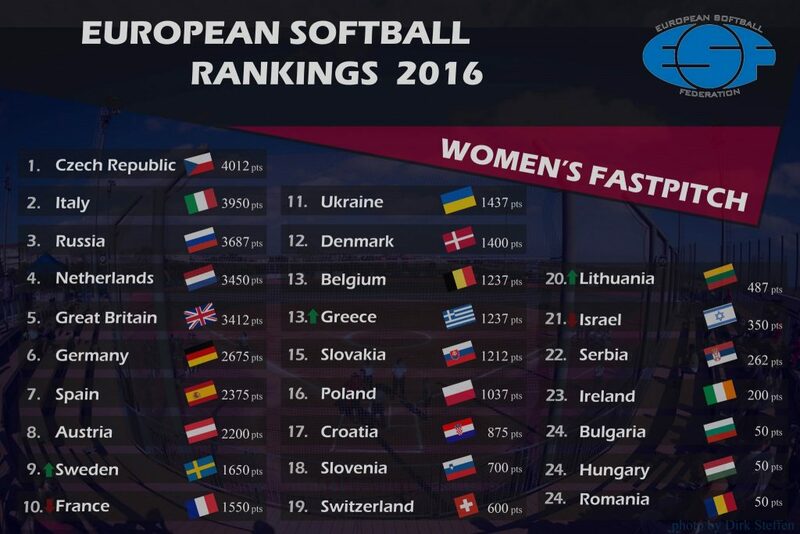 There were no changes made to the Slowpitch Rankings as there was no European Slowpitch Championship in 2016. The 2016 Men’s European Championship in Montegranaro, Italy had a highest-ever entry of 10 national teams, which resulted in an increase in the total number of ranked teams from eight to 11. European Championship in 2015, has been moved to the bottom of the rankings. Belgium climbed from seventh place to fifth in the rankings after placing third at the Men’s European Championship and Croatia and Israel switched positions. However, the leaders remain the same: the Czech Republic holds on to its first place position, Denmark is still ranked second and the Netherlands, as usual, is ranked third. Hopefully, the growth of men’s softball will continue and more countries will attend the European Men’s Championship in 2018, as there are now men’s fastpitch programmes in countries such as France and Spain. Even though there were two Championships held in women’s categories in 2016, only slight changes were made to the Women’s Rankings. Eight teams took part in the Under-22 Women’s European Championship in Pardubice, Czech Republic and 12 countries were represented in Sant Boi, Spain at the Junior Women’s European Championship. All of these teams secured an extra ranking point as opposed to the countries that were not able to send their national teams to compete this year. Sweden replaced France in the ninth position and Lithuania, which only started its softball program a few years ago, moved from 21st place to 20th and switched positions with Israel. Greece climbed one spot to share 13th place with Belgium. 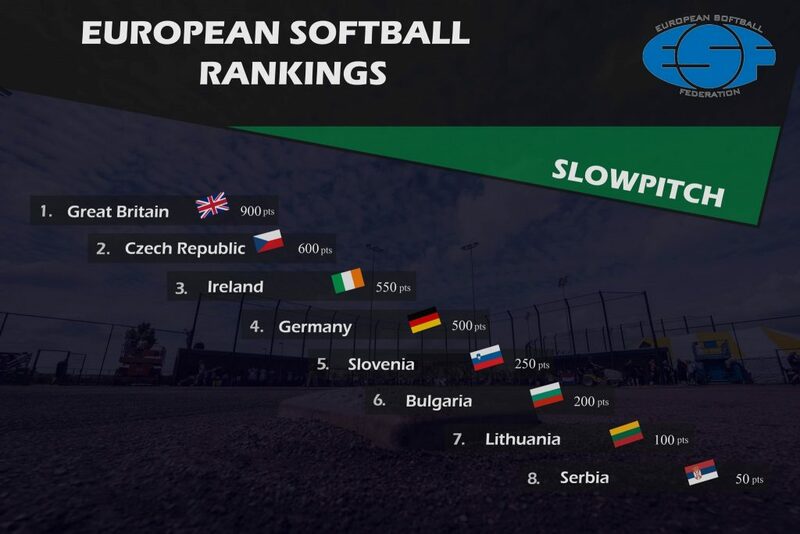 The Slowpitch Rankings consist of eight countries, and as the Men’s Slowpitch Championship planned for this year was cancelled due to a lack of participants, there were no changes made to the rankings first issued in May 2016. 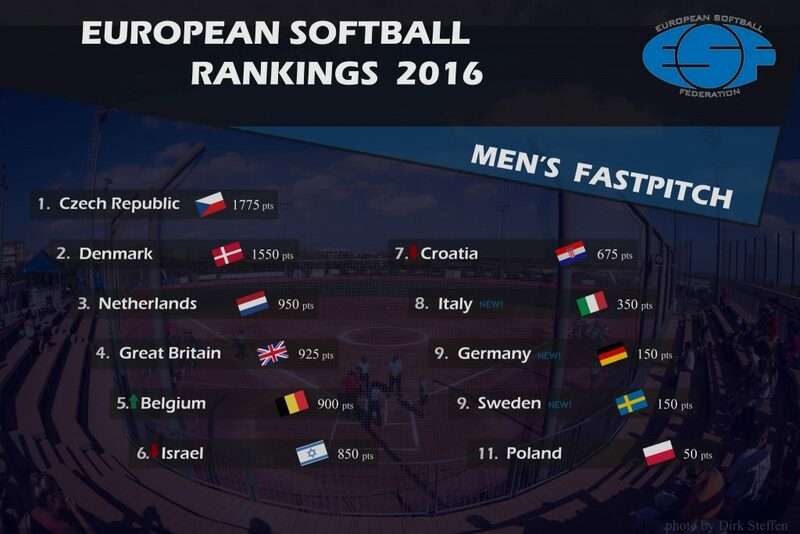 The Slowpitch Rankings should change after the European Co-ed Slowpitch Championship in 2017. There are three rankings: for women’s fastpitch, men’s fastpitch and slowpitch. A total of all the points awarded determines the placing of each country in each ranking.